When you're writing complicated business apps, spend more time on your business logic and let GladeGen do the rest. Build and run a useful blogging app and get a jump on .NET-compatible development. Use these tools from the MinGW Project to write, maintain and test Win32 apps on any GNU system. Make your apps run anywhere your browser does with the development framework that's already on your desktop. Now you don't have to wait for a JVM to run your Java app on a new platform. The processing power you need for big nightly jobs is all around you, and the desktop users won't miss it. 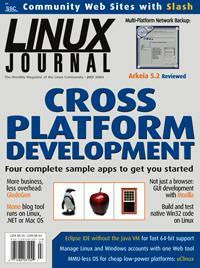 Do you want the development ease of Linux or the low price of an MMU-less processor? How about both?